Each year, Hispanic Heritage Month becomes more influential, however, it’s surprising how many companies do not make the effort to recognize this designation. Each year, Hispanic Heritage Month becomes more influential, however, it’s surprising just how many companies do not make the effort to recognize this designation. With Hispanic Heritage Month kicking off, we thought it timely to consider how we can embrace #HHM. We need to first take a step back to understand the basics before fully embracing this designation. Every year, from September 15 to October 15, we recognize the contributions that Hispanic and Latino Americans have made to the American society and culture by acknowledging them and celebrating their heritage and culture. You might be wondering why it begins mid-month. The reason is that September 15th is the anniversary of independence for these Latin American countries: Costa Rica, El Salvador, Guatemala, Honduras and Nicaragua. In addition, Mexico and Chile celebrate their independence days on September 16 and September 18, respectively. Also, Columbus Day or Día de la Raza, which is October 12, falls within this 30 day period. Why ​Restaurant ​Marketers Should pay attention? With the U.S. Hispanic population now standing at about 54 million people (making them the second largest minority group in the country), businesses are realizing that this is a crucial audience that should be acknowledged. This is even more important for the foodservice industry per an article from NRN about the study of U.S. Hispanics increasing restaurant use. 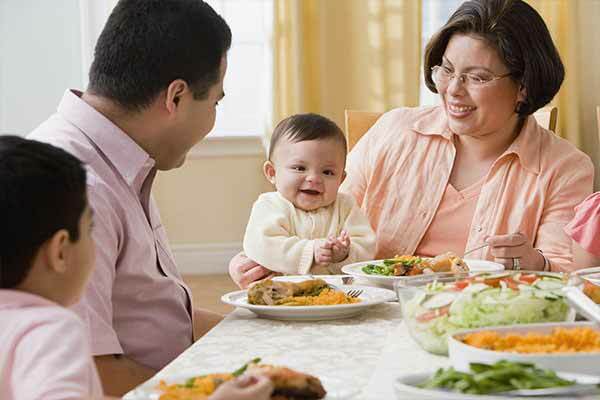 For example U.S. Hispanic’s dine out with children more often (40% of the time versus 29% for non-Hispanics) and U.S. Hispanic’s are more likely to visit major chains than non-Hispanics (75% vs. 62% non-Hispanics). Additionally, because things like Hispanic Heritage Month unite people of different Latin cultures, Hispanics have a tendency to support companies that make an effort to recognize the diversity in Hispanic markets. Regardless of your company or brand, it’s important to note that celebrating is not necessarily “selling” but it’s the effort that companies make to learn, understand and respect all the Hispanic Heritage Month represents as a history and honoring Latino contributions to American society. Even if you’re not Hispanic, you play an important role in the diverse make-up of the U.S. population. Let’s take this time to learn more about one another and embrace each other’s diversity, culture, background and contribution and how it adds value in shaping the world we know and enjoy today. To learn more about the designation and the key Hispanic influencers, click here. Want to know learn more about tropical food products? Visit our website at micfood.com!